Due to popular demand we are offering a select few rebuild kits for the DIY rebuilder. Our kits contain the same high quality parts that we use to rebuild our units. We will also offer a professional rebuild tech manual for $30 additional with each kit. I highly suggest you add this if you are a new builder or do not have a manual. PLEASE understand that we are selling you the kit, not the rebuild. We cannot rebuild your transmission over the phone or email. We will provide instructions for our upgrade parts, but basic rebuilding questions will NOT be answered. If it is beyond your skill level, please have a professional technician build the transmission for you. This kit includes all the rebuild components we use to build our STAGE 2 4L80E units. It includes a master kit with High Energy frictions, new steels, bonded pistons, and additional friction for the direct. New rear band, front band, filter, full bushing kit, thrust washer kit, new improved boost valve and pressure regulator spring for additional pressure. New internal harness, shift solenoids, and pressure manifold switch. HD intermediate snap ring, rear torrington bearing, machined forward hub with torrington bearing, 34 element sprag, and instructions/parts to make your own hydraulic improvements without buying a valve body kit. It will include a low roller clutch that you specify (with or without legs) and the style filter and band you need for the year or your core. $825 Stage 2 This is our base line kit and includes everything described above. $1215 Stage 3 Includes everything in our Stage 2 Rebuild Kit with the addition of the 4340 Billet Input Shaft and the Rollerized Billet Forward Hub. $1680 Stage 4 Includes everything in our Stage 3 Rebuild Kit with the addition of the Billet Intermediate Shaft and we replace the 4340 Billet Input Shaft with the 300M Billet Input Shaft in order to hold higher power. $2225 Stage 5 Includes everything in our Stage 4 Rebuild Kit with the addition of the 36 Element Sprag and Iron Super Drum. 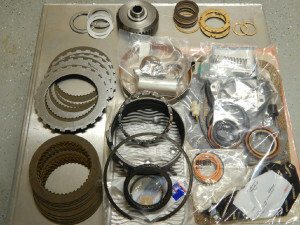 This kit includes all the rebuild components that we use to build our Stage 2 TH400 units. It is an upgrade from the TH400 RACE FULL KIT. It will have a complete kit with High Energy frictions throughout, new steels, torrington bearing upgrades for the output shaft to case, and a machined forward hub with torrington, new OEM rear band, low roller clutch, 34 element sprag, full set of bushings, thrust washers, HD intermediate snap ring, high flow filter, paper/rubber set, and case connector. NOTE: IF you do not have a smooth type direct drum from an early TH400 or 4L80E, you will need one to use the 34 element sprag. Additional cost applies for a quality inspected used drum. $440 Stage 2 This is our base line kit and includes everything described above. $940 Stage 3 Includes everything in our Stage 2 Rebuild Kit with the addition of the Billet Input Shaft and the Rollerized Billet Forward Hub. This kit includes all the rebuild components we use to build our Stage 1 TH350 units. 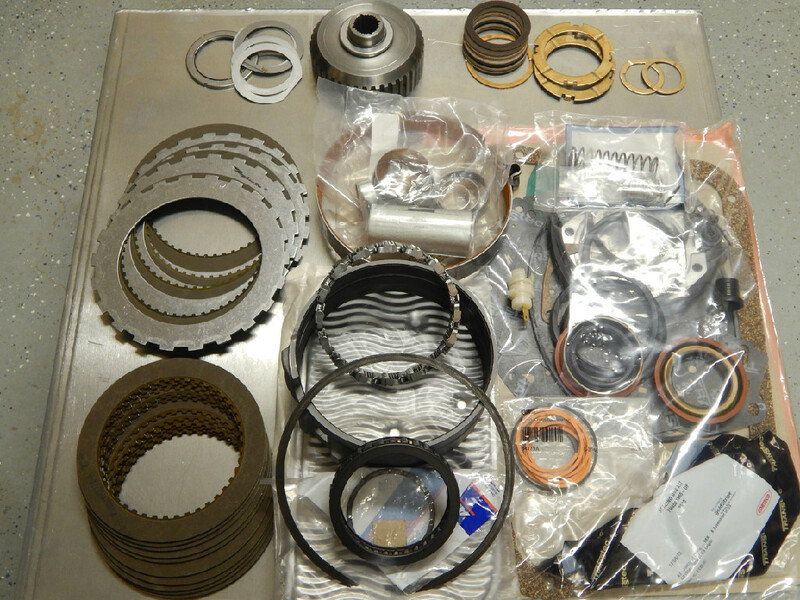 Master Rebuild Kit with Borg Warner Tan OEM style frictions and high quality paper/rubber kit. Hardened intermediate sprag race, case vent, extra friction/steel for the direct, and some other upgrades. New intermediate and low roller clutches, full set of bushing and thrust washers. $415 Stage 1 This is our base line kit and includes everything described above. $790 Stage 2 Includes everything in our Stage 1 Rebuild Kit with the addition of the 36 Element Sprag & Drum.